"The outlook wasn't brilliant for the Mudville Nine that day..." every baseball fan knows how this story goes. 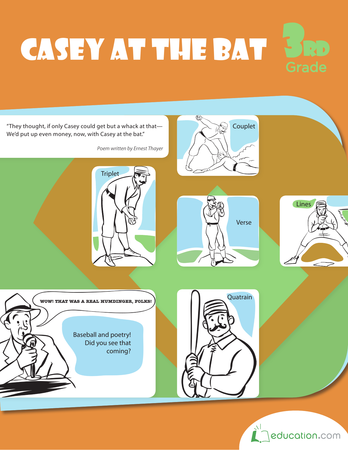 Help your young reader get caught up in the drama of the famous narrative poem, "Casey at the Bat," with this fun and fantastically illustrated Reader's Theater script. 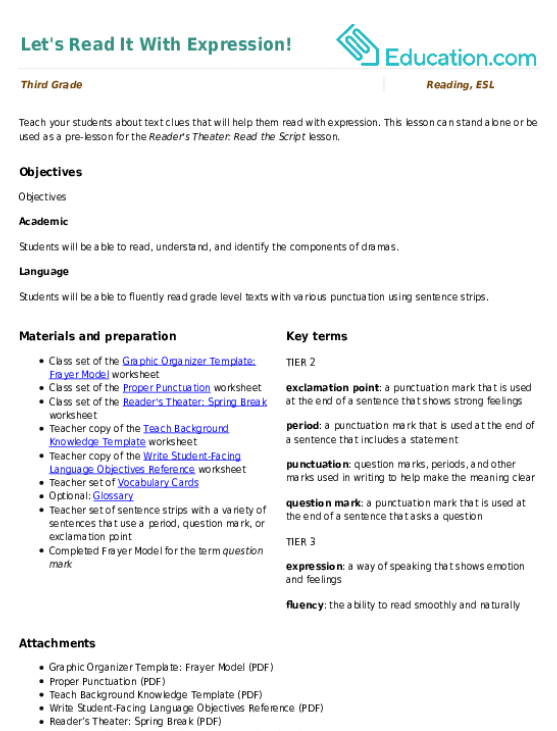 Use this Reader’s Theater script to engage your students as they practice reading with expression and accuracy. Your students will work on their fluency and then complete comprehension activities. 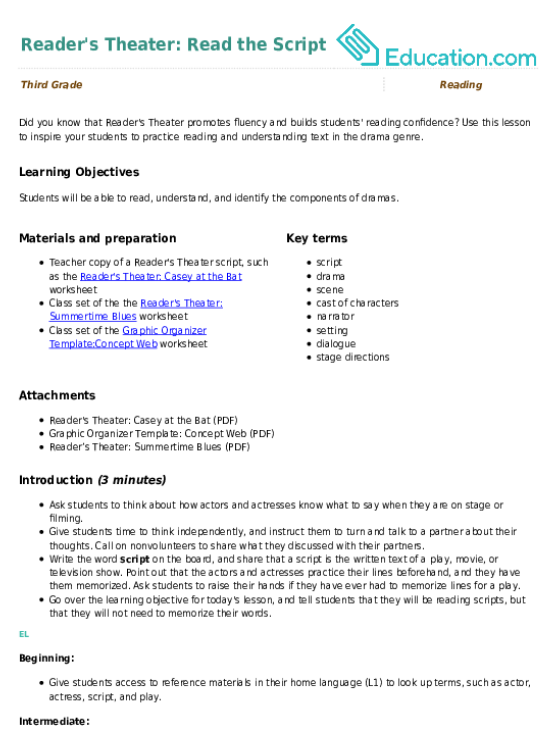 This lesson can stand alone or be used as a pre-lesson for the *Reader's Theater: Read the Script* lesson.